Sydney FC will round off a hectic schedule on Sunday with the highly anticipated Sydney derby – taking on rivals Western Sydney Wanderers. 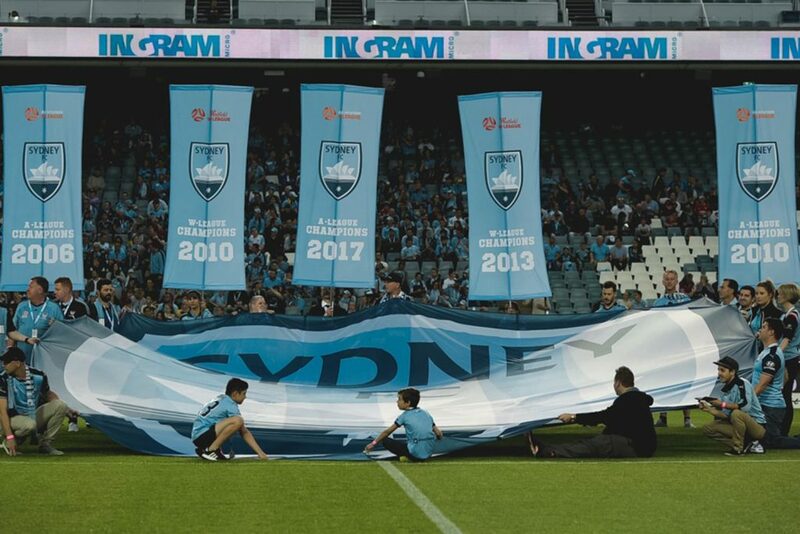 It will be the last derby at the venue before the NSW Government carries out its controversial and costly knock-down and rebuild to bring the stadium up to modern standards. The last time the sides met, in December, Sydney thumped its opponents 5-nil. The cross-city rivals’ encounter is always an awesome spectacle, with their respective armies of passionate fans taking their place either end of the pitch. Left empty-handed after a 2-0 defeat to Suwon Bluewings in its AFC Champions League opener last week, Sydney FC will be determined to claim all three points in its second encounter, away to cashed-up Shanghai Shenhua. The Sky Blues touched down in China on Sunday ahead of the match tonight (Wednesday, 21st February) at Hongkou Stadium. Flashing their cash for some celebrity acquisitions has achieved very little for Shanghai, which will be feeling the weight of expectation from its fans to bring home the goods against Sydney. They had signed Argentine strike Carlos Tevez, paying him $1m in pocket money per week and also appointed former Tottenham star Gus Poyet as coach. On both accounts, the acquisitions bore no fruit. Tevez was such a disappointment, he ultimately was left out of the squad for the Chinese Cup Final last November, while Poyet threw the towel in midway through 2017 after only managing a string of very ordinary results on the pitch. Securing former Newcastle and Chelsea striker Demba Ba, looked to be a worthwhile venture in 2016 – he netted 14 goals in 18 matches before breaking his leg, then disappearing, never to return. 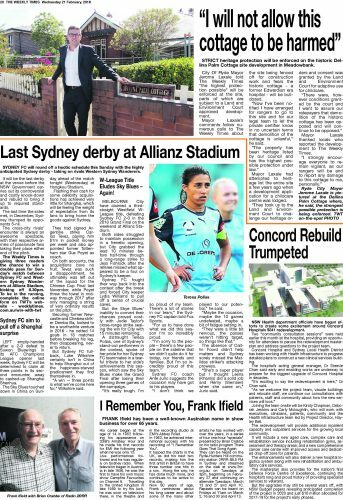 But Sydney FC fullback, Luke Wilkshire certainly isn’t in China to help Shanghai out of the happiness-starved predicament they find themselves in. “A win — three points is what we’ve come here for,” Wilkshire said. “We need it, especially after losing the first group game at home. We need to get ourselves back in to this group. W-League Title Eludes Sky Blues – Again! Melbourne City have claimed a third-straight Westfield W-League title, defeating Sydney FC 2-0 in the 2018 Grand Final on the weekend at Allianz Stadium. Both sides struggled to maintain possession in a frenetic opening, but City grabbed the lead 10 minutes before half-time through a long-range strike to Jess Fishlock after the referee missed what appeared to be a foul on Sydney’s keeper. Sydney FC fought their way back into the contest after the break and forced City keeper Lydia Williams to pull off a series of crucial saves. But the Skye Blues’ inability to convert their chances proved costly with Jodie Taylor’s close-range strike sealing the win for City with 15 minutes remaining. A distraught Teresa Polias, one of Sydney’s stand-out performers in the contest, spoke of her pride for her Sydney FC teammates in a tearful tribute to her side’s achievements this season, which saw the Sky Blues make the Grand Final after losing their opening three games of the campaign. “It’s really tough. I’m so proud of my team. There’s a lot of stories in our team,” the Sydney FC captain told Fox Sports. “For us to have done what we did this season I’m so incredibly proud. Sydney FC coach Ante Juric suggests the occasion may have got to his players. “I don’t think we played to our potential,” he said. “Maybe the occasion, maybe the 10 games undefeated, maybe a bit of fatigue setting in. The absence of Caitlin Foord didn’t help matters and Sydney sorely missed the Matildas striker’s attacking prowess. “She’s a super player but I thought Leena (Khamis) did a solid job and Remy (Siemsen) when she came on,” Juric said.